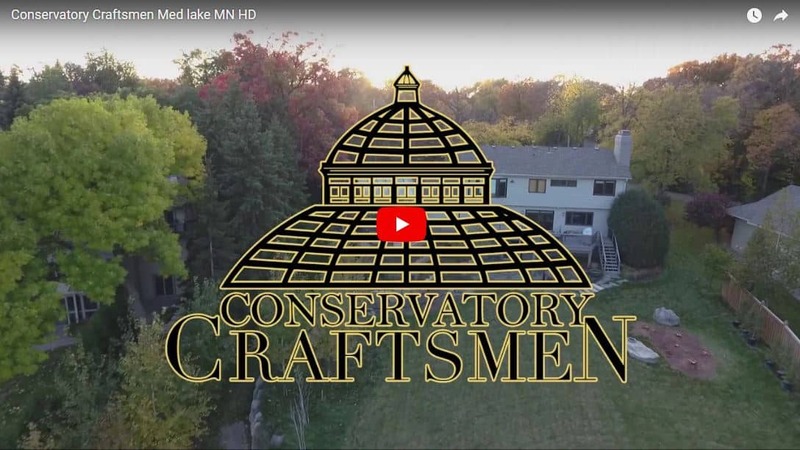 Our homeowners, a couple living on a beautiful urban lake home in Minnesota, came to the conclusion that the existing family room addition was disjointed from the rest of their home and served no use to them. 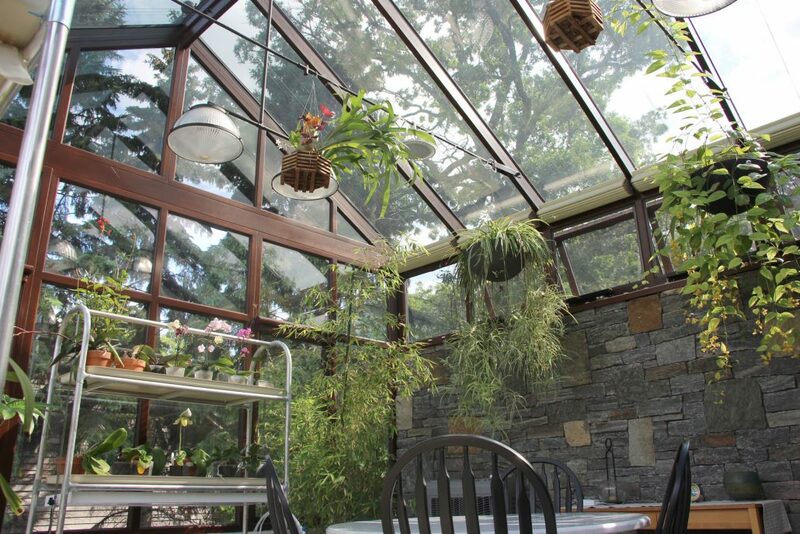 Their love of the outdoors, and the joy of growing plants led them to the conclusion that a room for orchids and other ornamental plants would best suit their tastes. 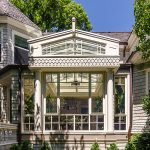 Since the rear wall of the conservatory is paralleled by a garage wall, and not a great view, a 6′ custom, thin veneer, wall was designed, topped with transom windows that are automated by temperature. 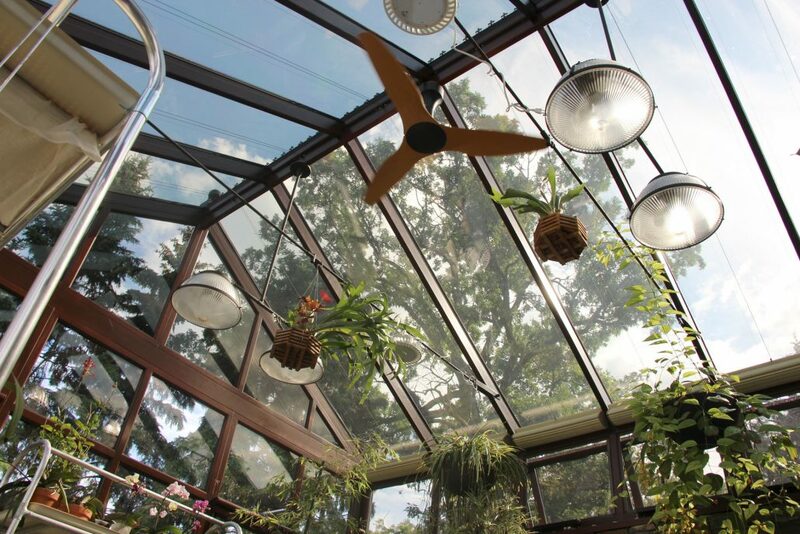 This conservatory/greenhouse is fitted with a humidifier that maintains proper humidity levels for the orchids, and the roof is graced with Pinoleum blinds. The blinds are also automated and keep down the sun intensity during the day and afford a bit of insulation to the room on a cold winter night. 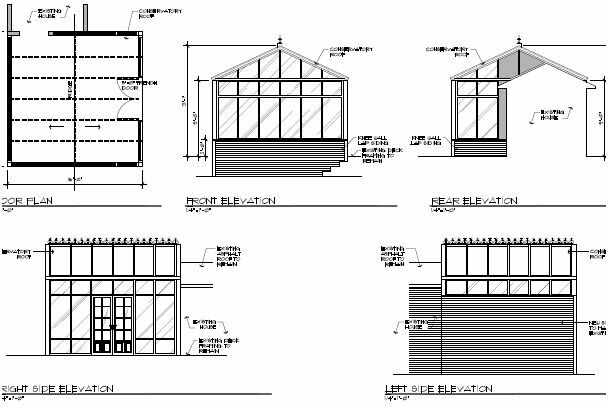 Colors and powder coating were designed to match the trim colors on the house. Interior stain of the mahogany structure brought out the beauty and character of the wood. The strength and resilience of the mahogany is powerful, and the clean lines interfere very little with the inspiring view. This couple enjoys the many birds that abound in this native but urban setting and feed many varieties. 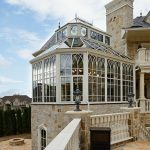 Many people today would rather not have the arch crestings on the roof ridge, but we know from experience, they keep the birds off. 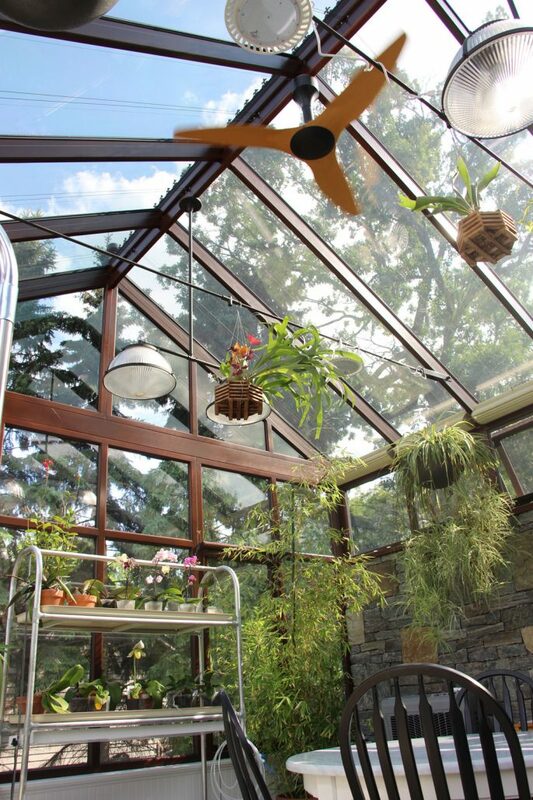 We all know what birds like to do on glass roofs! 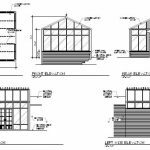 Conservatory Craftsmen was both the architect and builder on the final conservatory structure.